Caroline Diadem is a new prophetic voice on youtube. 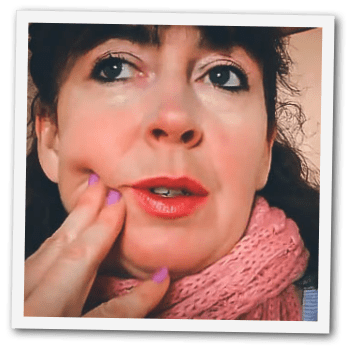 I have had many friends share her material even though she has just a handful of videos and relatively new. Her videos have been making their way around the internet in emails and in different groups. In one of her videos she said she has been hearing from the Lord now more than ever. 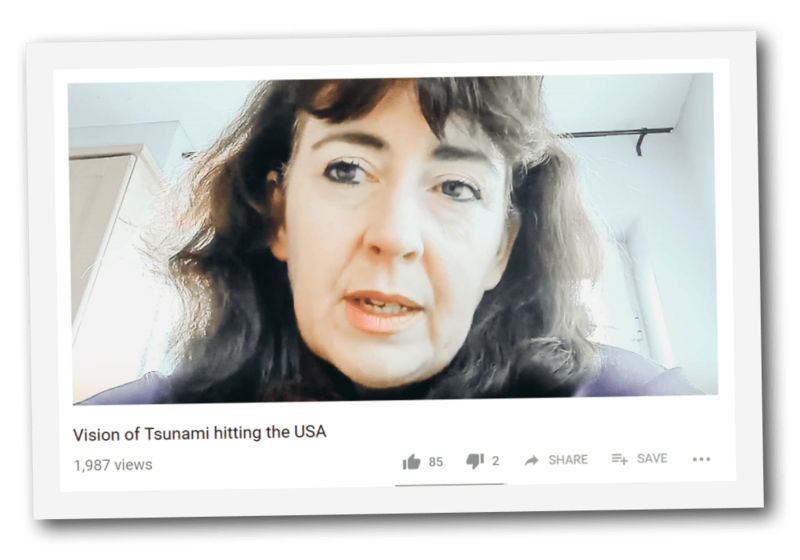 In this vision she mentions she sees a tsunami over the east coast of America, and she also mentions there is an army ready to invade America dressed in red. She makes the emphasis that the army isn’t getting ready, but fully ready to go. 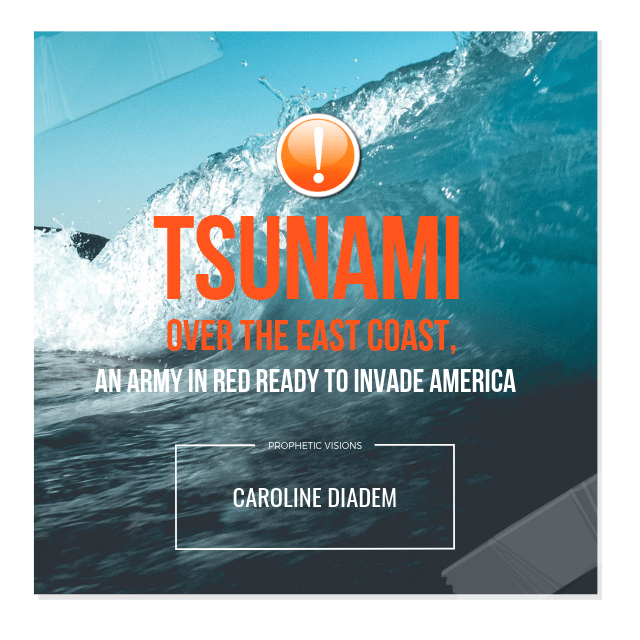 Many prophetic voices have confirmed the tsunami and the invasion that is coming for America. Again, Caroline confirms that the Lord is judging America for one single major sin- abortion which has been mentioned in numerous prophecies. I just want to put up a video on the internet because I’ve seen a lot of people putting up videos about things that are going to be for America in the coming days, and many people have shared dreams and visions. I actually began to look it up because I myself had dreams of America. So I just want to share it with you. Basically, it was a vision. I just saw a massive tsunami coming over the east coast of America and being heroded by the head of an angel. With that I had really a burden from the Lord concerning America. So I began to pray very much for America in the last two years. Actually since just before Trump’s inauguration, over a year and a half anyway. Since that time, the Lord has been speaking to me a lot about the fact that He’s going to bring judgment on America, …..He’s continuing to tell me that He’s given me the scriptures to confirm it. I know many people have spoke about Mystery Babylon. Well, I do believe that’s true, I do, please America’s Mystery Babylon, and this described in Revelation 18 it wasn’t specifically from Revelation 18 that the Lord is speaking to me about it, and many scriptures from Jeremiah, Isaiah different places in the Scriptures, but all confirming the same message. The message is basically this: The Lord told me that He is going to judge America due to their sins. The primary sin that He’s going to judge …..and He said it like this….is the killing of the innocence. I realized straight away The Lord is talking about the abortions that are going on in America. The Lord told me this was happening also in His church, which kind of shocked me. I thought, now this this cannot be possible. The Lord kept giving me the same scriptures to confirm that yes, this is happening in His church, and this is what grieves his heart the most. And so He so He said to me, one day,…. challenge me said, I want you to agree with my judgments. And with that, I looked up to see just how many abortions has taken place in America, and I was absolutely horrified to discover that this over a 54 million babies being aborted in America. Actually, England and America have both been responsible for the beginning of the start of abortions throughout the world. 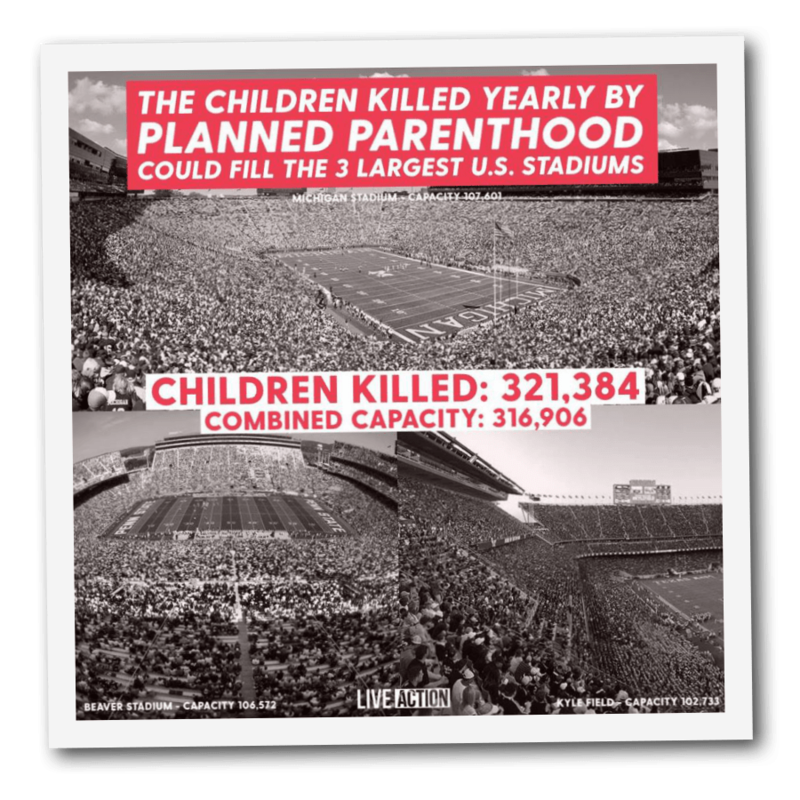 If you look up the stats, actually, this being this one seventh of the world’s population is gone because of babies that have been aborted….. is absolutely shocking. When I saw the stats, I couldn’t actually believe that and so at that point, I just had to put on my hand and say…. You are a God of justice, you know, and who can argue with you? I did have another flash vision of an army, … very huge army and I saw the color of red on on them and this was about three months after having the tsunami vision and when I saw the army I knew in my spirit these this army wasn’t getting ready this army WAS ready. I’m very concerned for America. I’m constantly praying for nearly every day I have tremendous burden. God is even given me songs. I have a song written called ” I weap” which is a son of lamentation which the LORD has put on my heart and maybe at some stage I could share that. 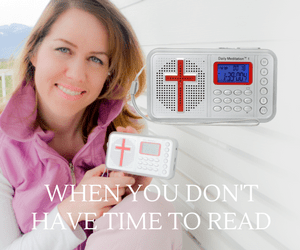 This is a time to get serious with God. This is a time for all of us to be sober, to be watchful, to be prayerful,… to be ready. I even felt the Lord spoke to me to the morning and nice and I felt him saying- I’m at the door. You know it’s that’s an absolutely scary thought. But I am persuaded that there’s not going to be that much time left. I am persuaded that we’re going to see calamities happen very very soon. Really bad calamities. I mean we’ve had the sign – the sign of the Eclipse and and the storms that have been raging in America and those you know, record breaking storms that have been going on in America. During the time of the eclipse I asked the Lord – Is this a sign from you? I felt the Lord say ….. What what does the eclipse do? And I said, it is when and the moon shots out the light of the sun. That’s what I felt- the darkness is going to actually show. God’s light you know, that was trying that’s what’s going on. Good afternoon, I just want to share with you a vision I’ve had regarding America. I had no reason to be thinking about America. Then the Lord just began to speak to me and showed me a vision actually… back in October 2016, just before the President Trump came to be inaugurated. So I read the vision to you right now. It was kind of shocking to me and alarming to me and give me a real alarm in my heart. And ever since it’s been,….. you know, God has been speaking to be a lot more about this. October 2016, God had put America on my heart to pray for as a matter of urgency. So I began praying for her regularly and also bring it to the prayer meetings. At night, while praying, I got a clear vision. There was a wave being heralded in by an angel, the angels head was as the crest of the wave that was being brought in. It was a huge wave, colossal, I’ve never seen a wave that size, and I wondered if it was a wave or if it was war. This wave is coming in over the east coast of America. I knew it presented a massive calamity of some kind, either a huge tsunami or represented war. A few weeks following this vision, I got a flash vision. One picture was a huge army arranged in block formation. I think it was wearing red color on the uniform. I knew this army already existed and that I was I was just seeing it as quickly as I got it. I saw a vision of the street in the USA, people who are blind panic, I saw mothers grabbing their children in desperation and running. People were in panic and running for the lives. So basically, the first vision I received and was in October 2016, as I say, and I saw this massive wave wasn’t a normal way, it was bigger than usual. I don’t know how high it was. It would be able to cross the top of tower block. So it was huge, colossal wave. I haven’t seen anything in the natural like it and and that’s why I wondered whether it was war rather than a wave itself could be both I don’t know. I began to really seek the Lord about this. And then three weeks later, because I was asking the Lord what is what is coming, what is this massive calamity, I knew it was a calamity coming to you, the United States. army was already set in place. I knew that that because in my spirit, I knew that it was an army that was already proven prepared. Then I saw another flash vision straight after following that one. I saw the street in the US and I saw these people in chaos. I remember in particular seen a woman just in desperation, grabbing a child and running in a blind panic. It was like chaos of broken out on the streets. I don’t understand completely what this all means. I know that something is massive is coming to the US and I began to see God very diligently about this and shortly after this through the book of Ezekiel, God began to speak to me directly and tell me that He was bringing judgment into the USA and that was kind of starting to me. 37That they have committed adultery, and blood is in their hands, and with their idols have they committed adultery, and have also caused their sons, whom they bare unto me, to pass for them through the fire, to devour them. 38Moreover this they have done unto me: they have defiled my sanctuary in the same day, and have profaned my sabbaths. 39For when they had slain their children to their idols, then they came the same day into my sanctuary to profane it; and, lo, thus have they done in the midst of mine house. The Lord was telling me that because of abortions, that God is going to do this. He was basically saying to me that Christians in America,…or people who call themselves Christians in America, commit abortions, and then go into the house of God. I actually didn’t believe the Lord when He told me ….that can’t be true……Then He gave me another scripture in another book in the Bible to confirm to me what I’m telling you is true. It was quite startling, you know, to hear what God was saying to me. So I immediately knew what he meant. I got my phone and I looked up and to see how many abortions were, had been done in the US. And to my shock, it was 55 million babies have been aborted in the USA and worldwide, I looked as well and America both America and the UK are the ones that instigated abortion that swept throughout the entire globe. In the world, there is 1 billion babies have been aborted in the world, that is a seventh of the entire world’s population. That absolutely shocked me and I understood then why God was doing this. God is a God of justice. He’s not going to let sin rule and sin is ruling the world. People don’t have reverence for God. There’s no respect for His laws. America changed the laws to allow things into their country was which is abomination to God and same in other countries. We’re all following suit and even Ireland’s …going to try and make way for abortion to happen in this country. So yeah, shocking to me. I have a lot more scriptures and to back up what I’m saying,…about the US and coming judgment. I’ll follow up in another video. If you want to know the scriptures and what scriptures are saying what the scripture that God gave me and confirmed to me. I just want to say that if you’re Christian, and especially living in the United States, if you can leave….. I would encourage you to leave the United States. I know God protects his children so I don’t want to release fear into anybody. God protects his children, and but certainly just make sure your heart is right and stay close close close close to the Lord . If you’re not a Christian, if you don’t know Jesus Christ, if you’ve never asked the Lord into your heart, I would encourage you to repent of your sin and to ask Jesus Christ to come into your heart to be your Lord and Savior. Jesus Christ is the only one that can save us from the destruction is coming. He’s the Lord of Lords, and the King of Kings is what the Bible says and the Bible tells us Jesus Christ is coming back soon and hence you have all these signs and wonders at the moment happening and it is a sign of Jesus Christ soon return back to the earth. He is coming again we all see in the Bible says that we shall see incoming and down from the clouds with glory and great honor. So we will all see Jesus Christ one day we will all bow the knee to him. Thank you for watching this video. I would love to have your comments and I as I say I’ll follow up another video because I have a lot more to say on the subject. And so thank you for watching. 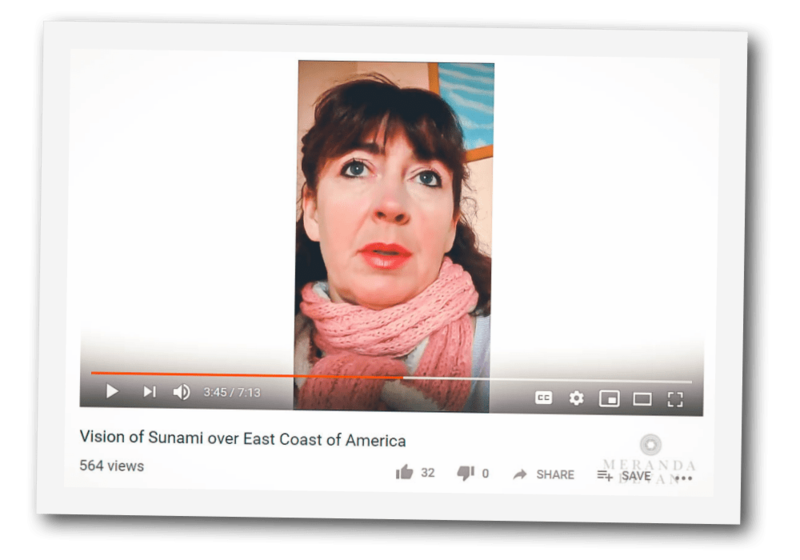 She Said “22 Million People Will Drown” In Her Dream- Will The West Coast See A Volcano, A Tsunami or Earthquake Come Soon?